What is a KIDS FIRST! Endorsement? You may pay using a check or pay through PayPal. Note: There is no restriction on release date. KIDS FIRST! 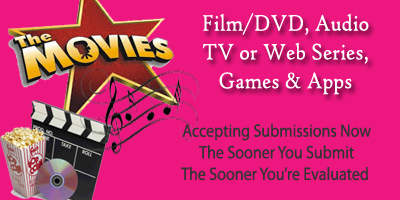 evaluates, rates and endorses films, DVDs, TV shows, Music, Audio recordings, video games, web series, websites and apps designed for ages 1 to 18 using community based juries. To qualify for an endorsement, a title must meet or exceed the KIDS FIRST! criteria. Endorsed titles are given a one-, two- or three-star rating. Reviews of your endorsed titles are posted on the KIDS FIRST! website and other media partners' publications and websites. To receive a KIDS FIRST! endorsement, the producer or distributor must submit it to KIDS FIRST! There is an application fee and copies of the title must be sent to our office, or provide online screeners, gift codes for apps, free logins for webseries or games and PDFs of screenplays. DVD screeners are non-returnable. Your application is not complete until the application form is submitted, payment is received and copies of the program arrive at our office or the access information is submitted. KIDS FIRST! jurors are selected for their expertise in evaluating children's entertainment. We use standardized evaluation tools that have been created by leading children's media specialists. To receive a KIDS FIRST! endorsement, a program must meet the baseline criteria and considered to be entertaining as well. For screenplays, KIDS FIRST! will provide you with a full written coverage. KIDS FIRST! jurors are vastly diverse. There is no other single review authority that has a comparable representation of so many cultures. Endorsed titles are highlighted on the KIDS FIRST! website and in our media partners publications which reach 2-4 million readers every month. For questions about your submission, contact us. KIDS FIRST! and KIDS FIRST! Film Festival are projects of the Coalition for Quality Children's Media, a nonprofit organization supporting quality children's media since 1991.